SE…..With Predictions on tomorrow's Primary voting……. Martin and Scribner poll either at or below 1%. Buckmaster and Farmer poll either at or under 1%. Paul beats Mongiardo 51-49 in the General. Lally loses to Incumbent Democrat Yarmuth 53-47 in the General. Prince loses to Incumbent Republican Rogers 69-31 in the General. Barr loses to Incumbent Democrat Chandler 55-45 in the General. Alexander, Ramey, and Reynolds will poll either at or below 1%. I see Boozman beating Halter 55-45 in the General. SE…..With Predictions on tomorrow’s Primary voting……. GA-09 Special Election scheduled for May 11. SE on Lincoln and racism and RedState……. If you know your history folks …you know that the history taught in the primary and high schools of America is sanitised…..and actually has very little to do with what REALLY happened in the past…. The Dog has known that for a long time…. When I went to college back in the day….. 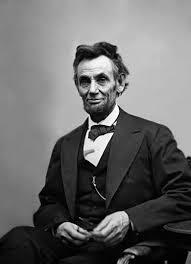 The RedState piece is mostly correct…..
Lincoln who is viewed as a hero of Civil Rights….. Was Not….at the time….. He did what he had to do to save the United States of what was then America…..
And THAT we shall all embrace and be thankful for……. So there’s right back At Ya RedState. !…….